Jurgen Klopp has launched a defence of Dejan Lovren today, but suggested the Croat would be a better player if he had self belief. This is strange to hear, as Lovren famously claimed he was one of the world’s best centre-backs during Croatia’s run to the World Cup Final. This season, Lovren has been unavailable injured due to a stomach muscle problem – and in his place – Joe Gomez has been exemplary. As a result, Lovren has a difficult job getting back into the side, but Klopp has suggested he’ll soon be back to help the team, with rotation likely during an intense fixture schedule. 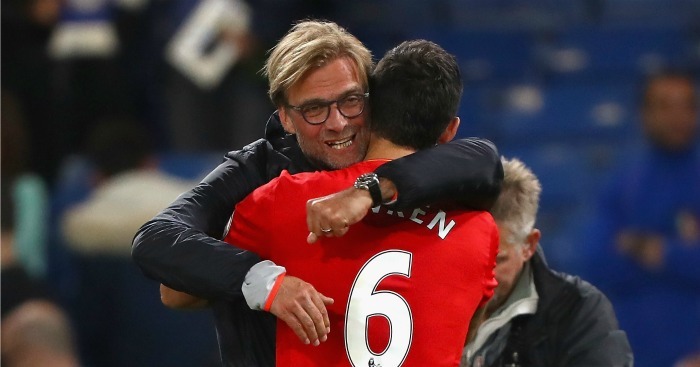 “I’m 100% sure – I was never in doubt about Dejan,” he began, cited in the Echo. “People said that it was never very good consistency wise and in this perspective the [Tottenham] game was a very difficult game for him. “There has not been too much talking about the situation and it was only about what I think about him. When he starts thinking the same about himself it could help him. My opinion is pretty high but his is pretty average. The trip to Wembley last season saw Lovren hauled off after half an hour, famously, following an abysmal performance which we eventually lost 4-1. However, following that debacle, he got his head down, worked hard and undeniably improved. So much so, he’s on the shortlist for the FIFPRO World XI. Imagine telling Liverpool fans that following that game in October…? Fair play to him, and may he get well soon.